The largest-ever genetic study of people with moderate-to-severe asthma has revealed new insights into the underlying causes of the disease which could help improve its diagnosis and treatment. Between 10 to 15 percent of individuals with asthma have the severe type of the condition which does not respond to conventional treatment. Symptoms include debilitating breathlessness leading to increased hospital admissions, despite the high use of medicines. Asthma experts from the University of Nottingham, University of Leicester and National Institute for Health Research (NIHR) Nottingham and Leicester Biomedical Research Centres (BRCs) led a global team of researchers to examine genetic data from thousands of people with European ancestry who have moderate-to-severe forms of the disease. The research, published in The Lancet Respiratory Medicine, describes how they carried out a genome-wide association study (GWAS). This involved comparing the genes of around 10,000 people living with asthma to nearly 50,000 people with normal lung health. The work uncovered several new genetic variants associated with moderate-to-severe asthma and also a person's risk of developing the condition. For the first time, the study was also able to pinpoint certain genetic variants associated with the risk of developing moderate-severe asthma that control the production of mucins – the main components of mucus. The discovery of the potential genetic causes of the disease gives new hope for better treatment of this hard-to-manage condition because these genes could be targeted by new therapies. Importantly, the work also confirmed the significant role of multiple genetic variants in inflammatory pathways (T2 inflammation) that are the target of newer treatments in development for asthma, suggesting these treatments will be particularly useful for moderate-severe asthma as well. 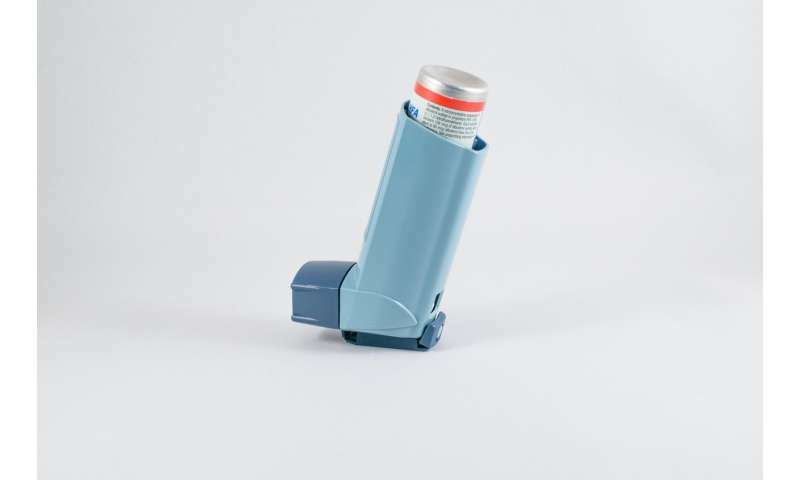 Professor Ian Sayers from the University of Nottingham and NIHR Nottingham BRC who led the study, said: "Asthma is a fairly common but notoriously difficult disease to diagnose, treat and manage. Affecting around 10 percent of the population, it was recently identified as the most prevalent chronic respiratory disease with a significant impact on people's lives and healthcare budgets. We know environmental factors can trigger the condition but genetic predisposition, we believe also plays a significant role. This is why genetic research is so important. If we can identify genes that cause the disease, we may eventually be able to improve treatment or even find a cure." Professor Christopher Brightling is a respiratory physican at Leicester Hospitals NHS Trust and senior investigator from the NIHR Leicester BRC and University of Leicester. He said: "New treatments for severe asthma are recently available and others are on the horizon. One major challenge will be understanding which treatment is best for which person. This study of the genetics of severe asthma will help in making these decisions and reveals new potential avenues for future therapies." Professor Louise Wain, British Lung Foundation Chair in Respiratory Research at the University of Leicester and co-author of the study said: "Millions of people in the UK suffer from asthma, yet the disease affects people very differently with some people experiencing more severe symptoms than others. Understanding the changes in our genes which trigger the development of asthma and contribute to this variability will hopefully lead to more personalised treatments in future. Our research offers new hope to those who are left breathless by asthma on a daily basis." Dr. Erika Kennington, Head of Research at Asthma UK, who part-funded the research, said:"Severe asthma is debilitating, causing terrifying life-threatening asthma attacks and frequent trips to A&E. This research is an important stepping stone in understanding more about the underlying causes of different types of asthma, which could pave the way for more treatments that are tailored to someone's genetics in the future. "It is only thanks to our generous supporters that we're able to fund ground-breaking research such as this to stop asthma attacks and cure asthma." The research team recruited and combined existing large cohorts with genetic data from people with moderate-severe asthma and controls (people with no diagnosis of asthma) recorded from GP and hospital records across Europe as part of the Genetics of Asthma Severity and Phenotypes (GASP) initiative, the U-BIOPREDand AirPROM consortia, the UK Biobankand the NIHR Biomedical Research Centres in Nottingham and Leicester. The work identified 24 asthma-related signals of significance across the genome, including 21 that have previously been reported in studies on all asthma patients. This suggests there is substantial shared genetic architecture between mild and moderate-severe asthma. It also revealed three new genetic points of interest for moderate-severe disease. One of these relates to mucin production, a second to allergy including eczema and hay fever, and a third has been previously linked with multiple autoimmune diseases that arise when the body attacks and damages its own tissues. The key challenge ahead is to translate these novel findings to new understanding of how the genetic changes specifically alter mechansims in cells and lungs of patients with asthma. This will allow research to potentially target these changes for clinical benefit. Similarly, greater understanding of the contribution of genetic variants to ongoing inflammation has scope to identify patients were targeting these pathways by drugs currently in development would provide maximum benefit.